fendi: Traveling in style! K-Pop star @__youngbae__ in #FendiFW16. The coat is stylish. What requires confidence would be those shoes but he pulled it off being his awesome self. 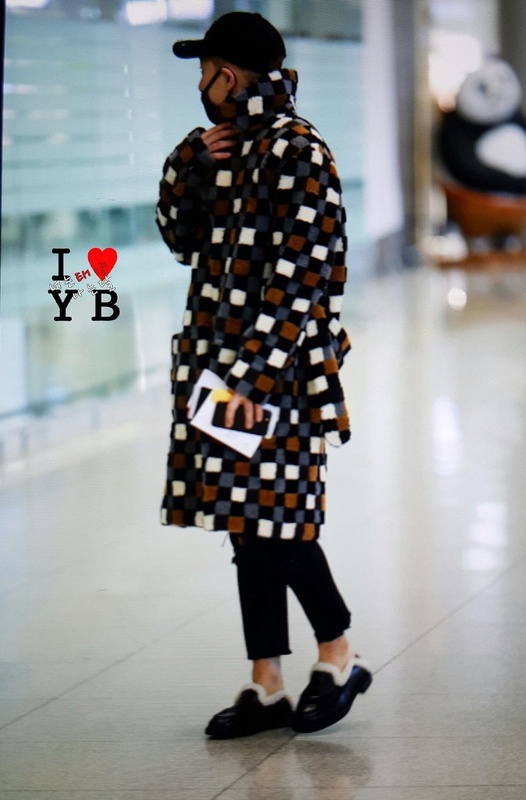 He already has the Fendi endorsement…LOL! Fendi? OK whatever! 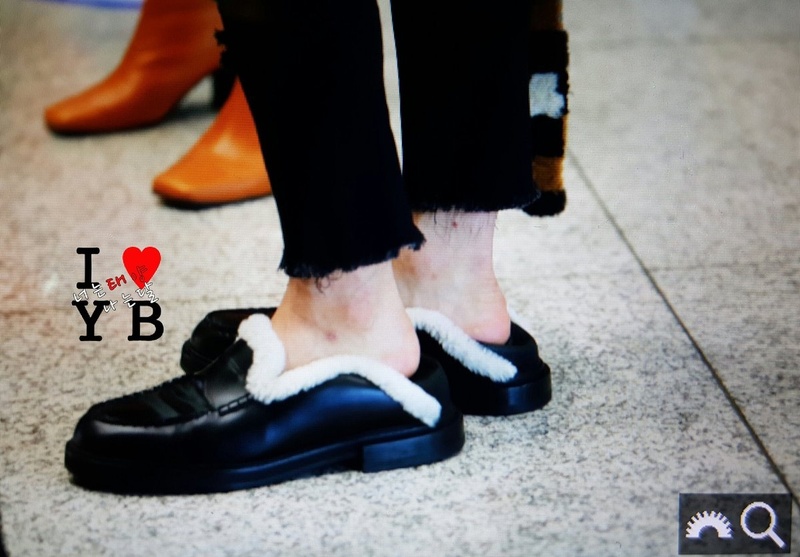 Sorry but for me it was like he hurried out the bathroom in his sleepers and bathrobe….sorry Tae. I think only GD could pull that outfit off. No offense! Jealous much? Are you a troll or his real fan? If you’re a real fan, you must be a psycho lol You better receive some psychiatric treatment instead of wasting time writing trashes. Or go see an eye doctor seriously! No offense! Taeyang is a really handsome guy but he is not the problem here. Maybe I wasn’t clear enough. I think Fendi is. Of course I won’ t pass off the psychiatric treatment you so kindly suggested because it never harmed anyone. Thank you rainbowfish! That’s why I’ll stick to the psychiatric treatment. As time goes by I need it more!!! So glad we can share the love…. Sometimes you come across people like this, it’s okay. 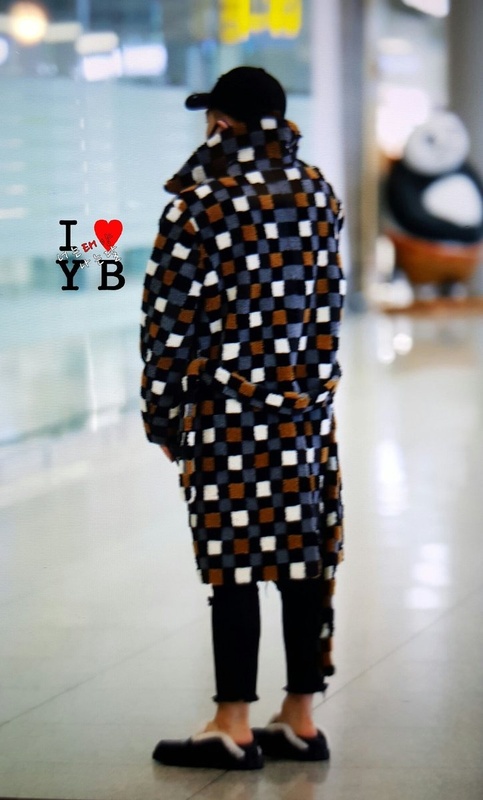 I love the pattern of the coat, it looks so comfortable and stylish. The shoes is the one that is hard to pull off but it matches the coat surprisingly. He must’ve felt very bad for missing the Fendi event, because of the typhoon.